Standing at the podium, Dominique Scavuzzo talks about his views. He is a moderate conservative running as a rebublican.“We need cooperation and not moving left or right, but moving forward.” Scavuzzo said. Dominic Scavuzzo is a moderate Conservative running as a Republican. 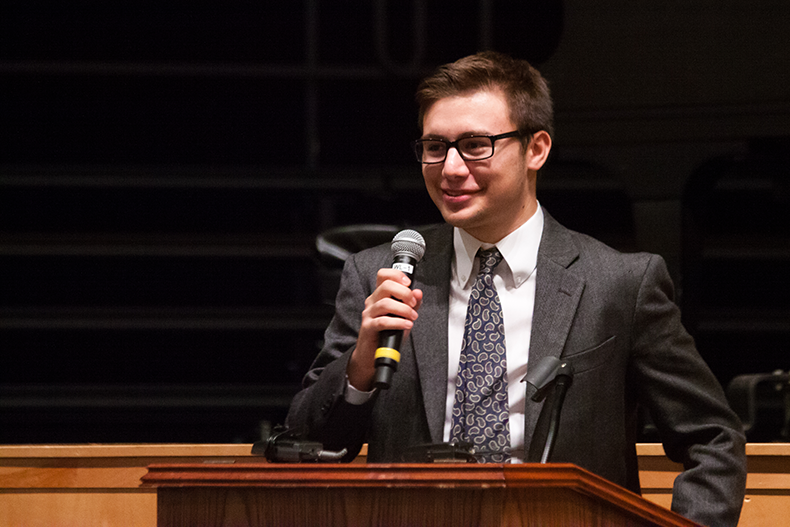 Scavuzzo believes that voters from all age groups will be interested in his way of leading. Even though a fraction of high schoolers can vote, Scavuzzo sees them as an important demographic. “All of them have parents that live here,” Scavuzzo said. He said that parent’s of the students that go here will tell their parents and the parents would then tell their friends. “It’s just word of mouth,” Scavuzzo said.